YORKVILLE — When the Buckeye Local Panthers host the Oak Glen Golden Bears on Friday night at World War II Memorial Stadium, one of the teams will pick up its first win. The Panthers played in a close game at Union Local in Week 2, holding a slim lead in the third quarter before falling, 30-16. The Golden Bears dropped a 41-20 decision at home to Catholic Central. In order to get the first win against the Golden Bears, Herbert knows they’ll have to slow down the Oak Glen passing game. Sophomore quarterback Nick Chaney is the current area leader with 472 yards and five touchdowns. Buckeye junior quarterback Seth Richardson has thrown for 128 yards and has a completion percentage close to 60. Last season’s meeting at Oak Glen was a double overtime thriller that went to the Golden Bears. “The kids certainly remember that game,” Herbert said. “It was a heck of a game. It was back-and-forth all the way. They just made one more play than we did. 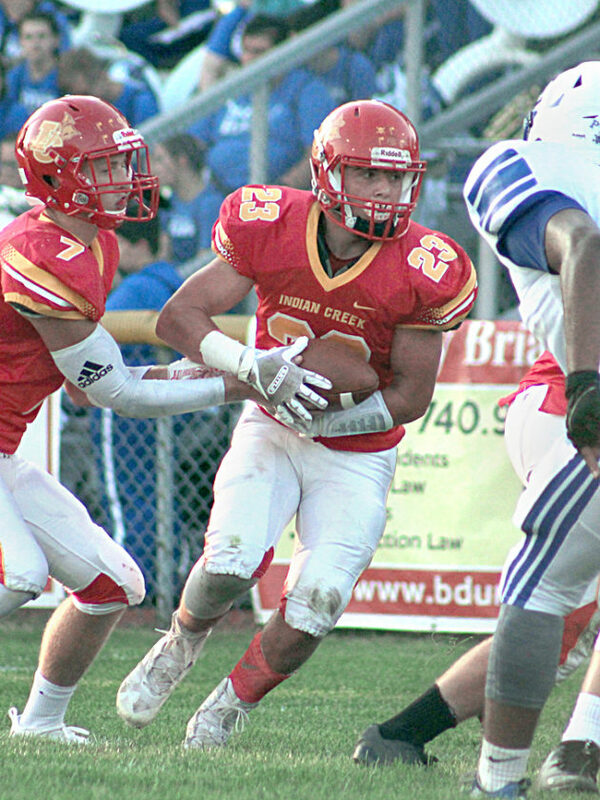 One thing Oak Glen coach Ted Arneault has noticed is improvements in athleticism and on the defensive side of the ball for Buckeye Local, things his team will have to contend with. “Seeing them on film, what really impresses me is they have got some nice athletes,” he said. “They play a more aggressive style of defense than they have in the past. They give you multiple looks on both sides of the ball. Hunter Patterson, the area’s current leader with nine receptions and 129 yards, is a question mark for Arneault after missing the second half of the loss to Central, as is his brother, Gage Patterson, who was injured in Week 1. ALLIANCE — Andrew Connor’s Indian Creek Redskins are off to a 2-0 start after hanging on to defeat East Liverpool, 26-20, and go on the road for the first time in 2018 to take on the Alliance Aviators. While Alliance is 0-2, Connor knows that record does not tell the entire story. “They played two really good football teams,” he said. “That 0-2 mark is not indicative of the football program Alliance is. With senior quarterback Brennon Norris out for the remainder of the season, Sam Mazar has stepped into the role of starting quarterback and has completed 68 percent of his passes, while amassing 221 yards and two scores, running for 87 and two more TDs. MORGANTOWN — After taking its bye week in Week 2, the Brooke Bruins will look for win No. 1 against a tough University Hawks team that is 1-1. “This week, we put an emphasis on conditioning, strength training and getting back to the basics,” Brooke coach Mac McLean said. “We worked to get more proficient at a few things, and I think that is going to pay dividends for us. McLean knows the task is a tall one against the Hawks. “I’ve seen them on film, and if you’re going to stop that team, it’s going to start with two players,” he said. “(Wide receiver) Amir Richardson and (quarterback) Logan Holgorsen are two above-average talents that I think both are getting Division I attention. BELLAIRE — After a couple of tough losses against out-of-area teams, the Harrison Central Huskies and first-year coach Anthony Hayes are hoping to see their fortunes change when they finally take on a local rival in Bellaire on Saturday. 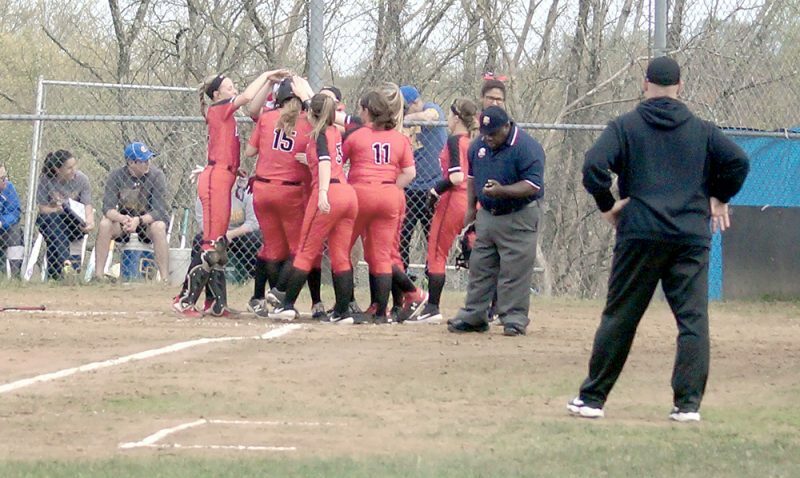 “They are a very good team,” Hayes said of the 2-0 Big Reds. “They are always prepared and always extremely well-coached. It’s good to face a local team, but we’ll play anyone the same. I know it’s typical coach speak, but it’s true. He knows his team is on the cusp of the elusive first W after a 26-25 loss to Washington, D.C., Bell. Trailing by seven with seconds remaining, Tyler West rushed for a touchdown. Going for the victory, the two-point conversion failed. Harrison Central then recovered the onside kick but was later sacked on the final play. If his team is going to win, it needs to finish drives. “We’ve been able to sustain drives — we just haven’t been able to finish them,” Hayes said. “We’ve turned the ball over some and been in the red zone and had penalties take us out of scoring position.